Halloween this year was fun! Taylor was able to wear his Grandpa Dixon's old flight suit from the Vietnam war. We are glad we could honor him this day, as well, because we were also able to seal his grandpa to his parents at the temple on the day of Halloween. I was having a hard time with a halloween costume this year. I am almost 32 weeks pregnant, and I also don't like spending over $15 for a costume. 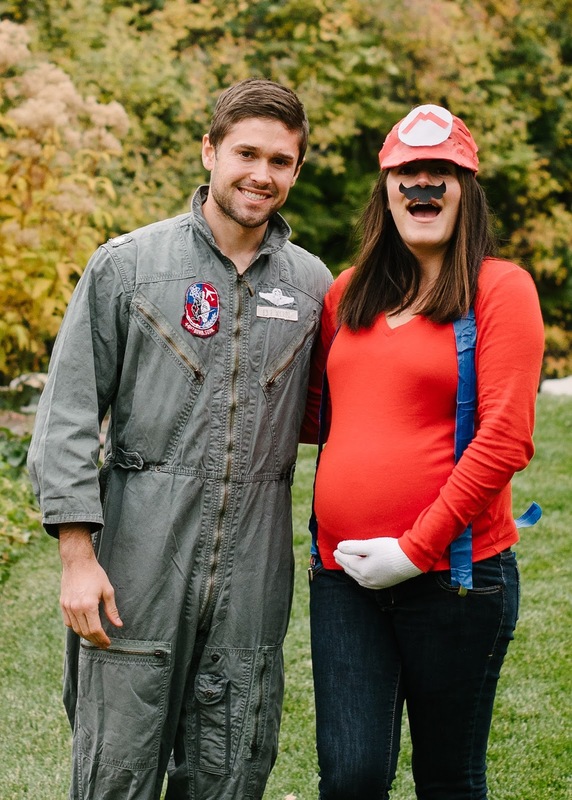 There are a lot of cheesy costumes, that I just couldn't bring myself to do...haha so I resorted to being Mario, because if you didn't know, he kind of sports a nice belly.